Passable version based on the legendary character with spectacular fights and average production values . 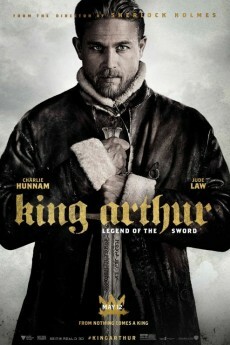 In 13th century England, Robin (Richard Greene) , the World's Most Renowned Swordsman , along with band of marauders as Nigel Green as Little John , Niall MacGinnis as Friar Tuck and Darren Nesbitt as Martin confront local corruption and lead an uprising against the Sheriff that will forever alter the balance of world power . Robin lives again , a hero of every villain , friend to those who have friends . The movie now opens with a man (Desmond Llewelyn as wounded fugitive) riding into the forest on horseback and his identity is never revealed . 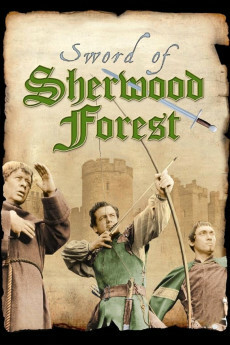 Robin and his men rescue an unnamed rider seriously wounded who is fleeing to Sherwood Forest on his horse , being chased by the Sheriff's men . Robin absolutely refuses to turn him over to the Sheriff who offers him a full pardon in exchange for the wounded . The sheriff of Nottingham (Peter Cushing) schemes to confiscate the estate of the Lord of Bortrey, who has deceased on Crusades . The Earl of Newark (Richard Pasco) takes an interest in Robin's skill with a arch and puts him through a number of proofs . The Archbishop of Canterbury speaks against this scheme , and the sheriff plans to eliminate him . 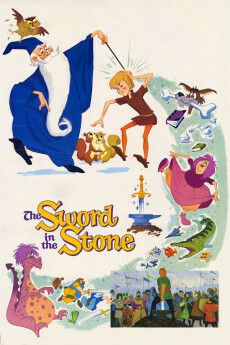 Robin Hood pretends to avoid the killing of the Archbishop of Canterbury ,Hubert Walter (Jack G. Willim), who is blocking their plans to confiscate a dead nobleman's ownership in the shire for the schemers ; Maid Marion (Sara Branch), meeting him thinks him the leader of a gang of murderous , and leads him into a masquerade . The movie has acceptable action sequences well staged with stylish and vitality , adventure , romance and is pretty entertaining ; however being realized in TV style . There are some nice action sequences including the battles in forests and the ending confrontation at the climax of the film . Richard Greene was the only actor to reprise his role from the TV series , the other roles were played by an entirely new set of actors. The series formed by 143 episodes were starred and mostly produced by Richard Greene . The movie was shot on natural sets and Irish woods , Ardmore Studios, Herbert Road, Bray, County Wicklow, Ireland and interior scenes in Powerscourt Estate, Enniskerry, County Wicklow, Ireland with functional production design by Joh Stoll who subsequently took in charge the settings of ¨Laurence of Arabia¨ and ¨The collector¨. Robin Hood, also known Robin O'Locksley and the Earl of Huntingdom, is probably and sadly a creation of romantic imaginations . If Robin Hood did exist, it's almost certain that he was not a Saxon , though his enemies may well have been the Norman sheriff of Nottinghan and Prince and later king John Lackland. The motion picture was professionally directed by Terence Fisher . He was an expert on terror genre for Hammer production , his best films were the following : "So Long at the Fair", Portrait from Life (1948), "Dracula", ¨The Revenge of Frankenstein¨ (1958), ¨The mommy¨ (1959), The Stranglers of Bombay (1959), "Two Faces of Dr. Jekyll", ¨The brides of Drácula¨ (1960), "Curse of the Werewolf", ¨The phantom of opera¨(1962), "The Gorgon", "The Earth Dies Sceaming", "Dracula ,Prince of Darkness" and "Frankenstein Must Be Destroyed". Other versions about this famous personage are the following : ¨Robin Hoos and his Merrie men ¨(1952) by Ken Annakin with Richard Todd and Peter Finch ; ¨Robin Hood price of thieves (1991) ¨ by Kevin Reynolds with Kevin Costner , Alan Rickman and Morgan Freeman , the same year was exhibited ¨Robin Hood¨ by John Irvin with Patrick Bergin and Uma Thurman but was a flop though the critics considered best adaptation. The classic rendition is ¨The adventures of Robin Hood¨ by Michael Curtiz with Errol Flynn and Olivia De Havilland and recent rendition Robin Hood by Ridley Scott with Russell Crowe , Oscar Isaac and Cate Blanchet. This is not as bad as all that. Terence Fisher as ever does a competent job, there are reasonable production values and some rather fetching photography. I always thought Richard Greene a little too schoolmasterly for an outlaw, and he is here rather portly, but he can certainly handle a bow. Nigel Greene and Niall McGinnis are well cast as Little John and Tuck, Peter Cushing is an excellent Sheriff, and Richard Pasco does well as the ambiguous Lord Newark. Oliver Reed's camp henchman is perhaps less successful. The conspiracy plot unfolds at a relaxed pace and resolves satisfyingly. The weakest element is the tacked on romance with Sarah Branch's rather bland Maid Marion. All in all a rather charming period piece, that gets closer to the spirit of the original ballads than most versions. So-so feature film spin-off from the TV series of the 1950s/60s. View once and forget. One of the big disappointments of my then very young life was setting off with my pocket money to view this one many, many years ago. 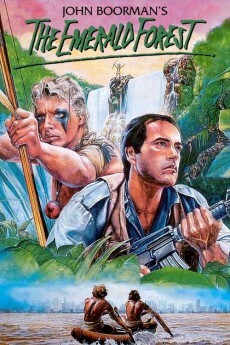 I was a terrific fan of the Richard Greene TV series and used to gurgle and splutter out the theme song from my first conscious days of television viewing. When I learnt that a full FILM version was therefore showing at the local Odeon, I was expecting great things. I have watched the film now about four or five times since as it has appeared on afternoon TV and must say that my disappointment has still been quite strong every time I have viewed it! So what is the problem, (or, rather, what are the problemS)? Firslty, the whole thing must have been made on the then financial equivalent of 75 pence, i.e. the production values are STILL those of the TV series and while shaky scenery and a small number of bushes CAN be taken as a castle or a large forest in a half hour TV programme, (with a break for commercials), it will not work over one and a half hours on the big screen. Secondly, the acting is on a par with the scenery. Richard Greene moves fairly effortlessly from the small screen to the big, (mind you, he had had quite a few previous roles in the cinema, such as in the 1939 Basil Rathbone version of "The Hound of the Baskervilles"), but the rest of the cast, (with the possible exception of Peter Cushing as the Sheriff of Nottingham), are quite forgettable and it seems strange that NONE of the "familiar faces" from the TV series was prevailed upon to appear in the film version as well. At least it would have provided some continuity and, presumably, would have made the inter-action between the actors come to life more than is the case with the film that emerged. 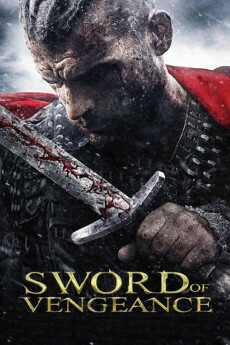 Finally, one hardly expects Marlowe or Schiller in terms of plot development with this kind of thing, (in fact I doubt if I had any idea of plot when I first saw the film, probably just waiting more for the next fight scene! ), but, even so, this really is feeble in terms of story and makes the Kostner and Flynn versions seem like high literature in comparison. Mix in fairly flaccid direction, poor editing and continuity and a "bargain basement" music score and what have you got? Something to view while shelling peas or waiting for the rain to clear on a Thursday afternoon or, if you saw the 1950s TV series, a clear reminder of HOW really difficult it is apparently to transfer a TV hit to one on the big screen. If you want Robin Hood for the LATTER, then without question it is, (in ascending order of merit), still: Kostner's "Prince of Thieves", the made-for-TV British version of the same year as Kostner's, (and which was totally overshadowed by the latter), and, (of course - you know already, don't you? ), the Errol Flynn 1939 film, (still unsurpassable as a talkie version).